The Coyote Quikstop and Snooty Coyote stores will likely be closed by mid-December. 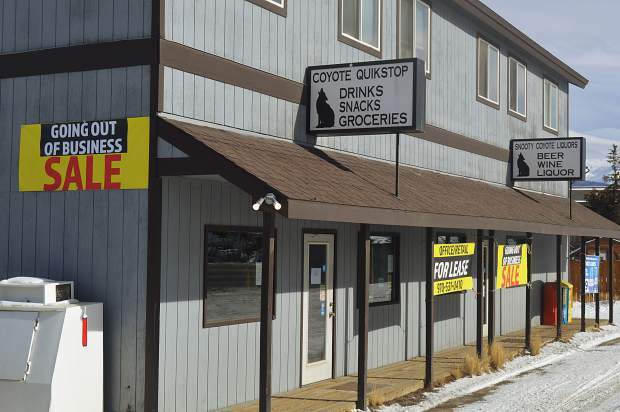 TABERNASH — Tabernash residents will soon have to make the drive to Granby or Fraser for their liquor or convenience store needs since the Coyote Quikstop and Snooty Coyote Liquors will close in December. Owner Dave Kleist, who has owned the building, located off Highway 40 in Tabernash, for the last 28 years, said he decided to close the stores because of declining liquor sales. Kleist said he doesn’t have a set closing date since he is trying to sell down his inventory first, but the stores will likely close before Christmas. He hopes to be able to lease the space and said he has already had a few calls, though he expects the spot won’t be filled until the spring.